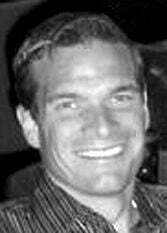 Born on March 19, 1982, in Kenosha, he was the son of Michael Burbach and Carrie Thompson. On Aug. 6, 2002, he was united in marriage to Kathryn (Nee: Burdick) Burbach. Brandon owned and operated both Reliable Tree Service and Trees-B-Gone. He was an active member of the Kenosha Area Chamber of Commerce. Brandon served as the Boy Scout Den Leader for his son Aidan's Troup at St. Joseph's Academy. He cherished the time he spent with his family enjoying outdoor activities. Along with his wife Katie, Brandon is survived by his two precious children, Aidan Robert and Ava Grace Burbach; his parents, Mike Burbach and Carrie Thompson; and his siblings, Troy (Amy) Burbach, Christie (Jeff) Briggs, Tracy (Abby) Burbach and Grace Stamps.